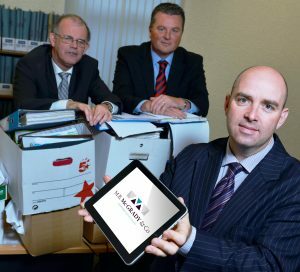 M B McGrady & Co have invested in a unique online service that allows companies to reduce the time spent on the more arduous elements of their accounts, a first for the Northern Irish accounting industry. This online accounting system allows for SMEs to always know exactly how their business is performing every month by uploading their accounts online for the experts in M B McGrady to review. M B McGrady & Co has introduced this service to their organisation, having 30 years of experience in the accounting industry in Northern Ireland with offices in Downpatrick, Newtownards and Belfast and a wide base of clients in each of these areas. Now the firm has this service to add to the already wide range of professional expertise in consulting, taxation and auditing, M B McGrady & Co are looking forward to integrating this bespoke service with their current and prospective clients. As part of a monthly subscription, SMEs can upload their online banking data directly to the accounting experts in M B McGrady & Co and have their accounting needs dealt with in real-time. One of the most helpful and innovative aspects of the service is how the algorithm involved in this programme remembers repeat entries each month and categorises them accordingly saving more time for the business owner. each individual business. Each organization requires a different input, result and amount of accountancy provided and that is what this service provides. The online accounting service can be tried by your company by visiting https://www.mbmcgrady.co.uk/account-services/online-accounting/ and signing up for their 30 day free trial.